Sometimes I stop and wonder why I am so intense about finding leather castoffs and making something new. 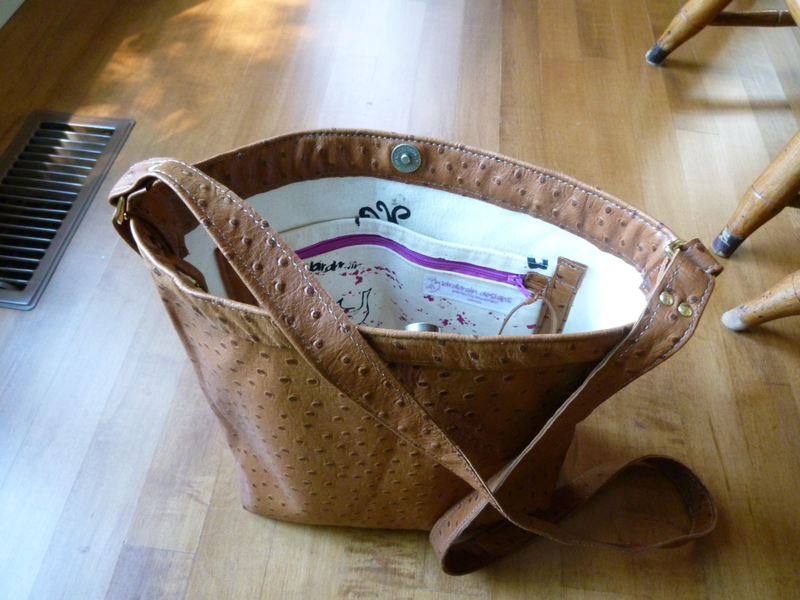 It is close to an obsession some days, trolling through thrift shops, unpicking zippers, reworking remaining remnants. After all, I am retired from job #1 and I should be out enjoying myself–playing golf or something! Yikes! I am learning that this is enjoyment for me: the hunt for the perfect piece, the item which was once loved and is now awaiting a new life, combined with the puzzle of reworking, redesigning, creating something new that people will carry and use with pride. So all that said, here are three new bags. The first is City Carissa, once a Michael Kors Italian Leather suit–the leather rich and supple and an incredible deep green. City Carissa is a bigger bag, 12x14x3.5″, with an exterior pocket and a magnetic closure. 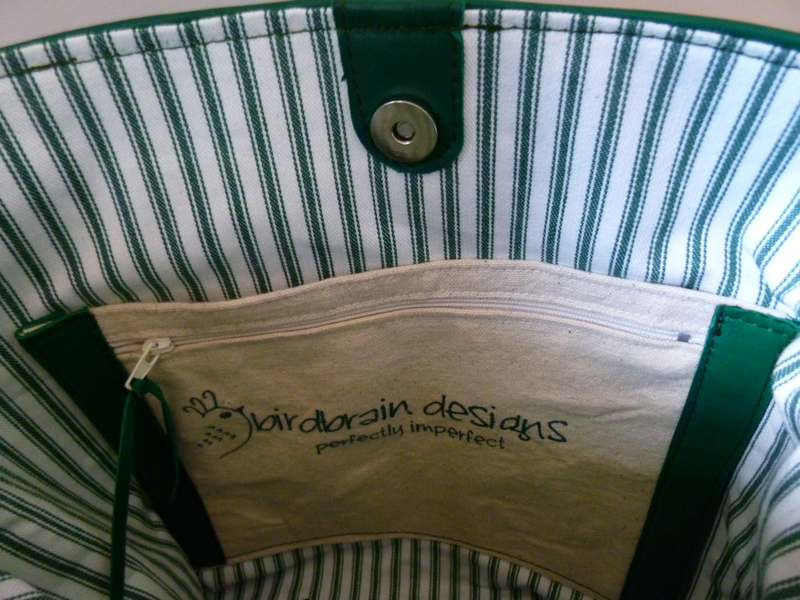 The interior is green ticking with a zipper and open pocket and the bird with attitude screen printed on the side opposite side. 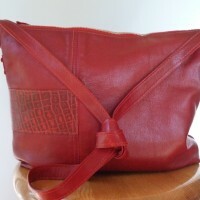 The next bag, the red mid satchel, was once a red skirt, quite short. However the leather was so beautiful I couldn’t resist. 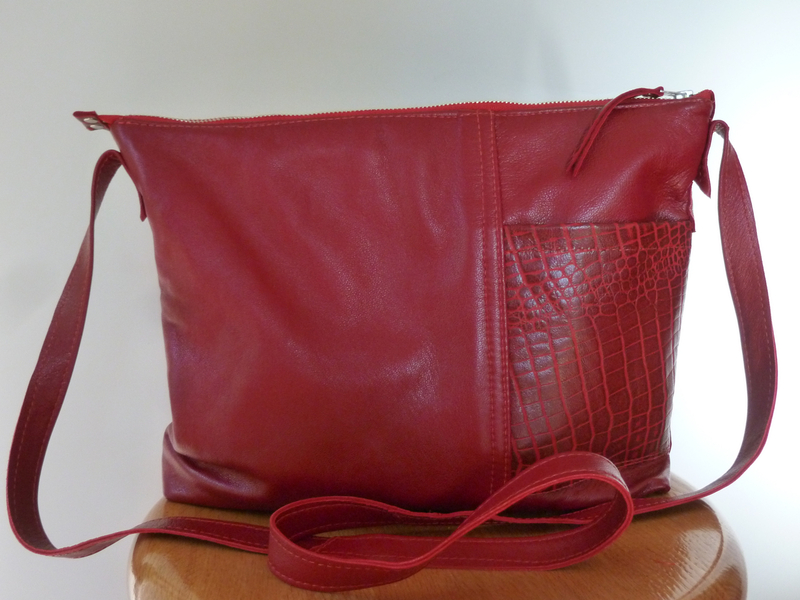 I combined it with a my remaining remnant of red croc to make a great mid-size bag. It has a zipper closure, an exterior pocket and a strap long enough for cross body, but thin enough that it can be knotted to make a shorter strap to carry the bag under your arm. 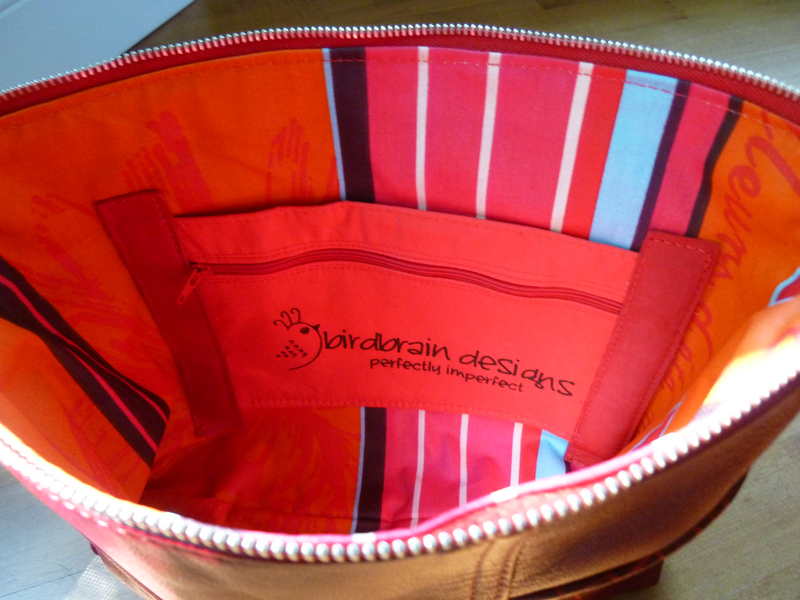 The interior of this bag is great striped fabric from the market in Limoux. 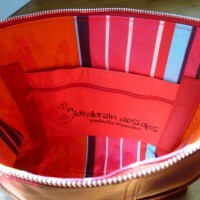 The French fabrics are beautiful, their colours intense. 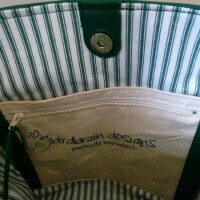 The bag has the zip and open interior pockets. It measures 9x13x2″. The last bag is my City Revival bag. It too started life off as a skirt. Those of you who know my favourite Picton store, know that this skirt was once in an expensive Toronto boutique. Most of the clothes I buy at City Revival I wear, but this gem ended up as a bag. 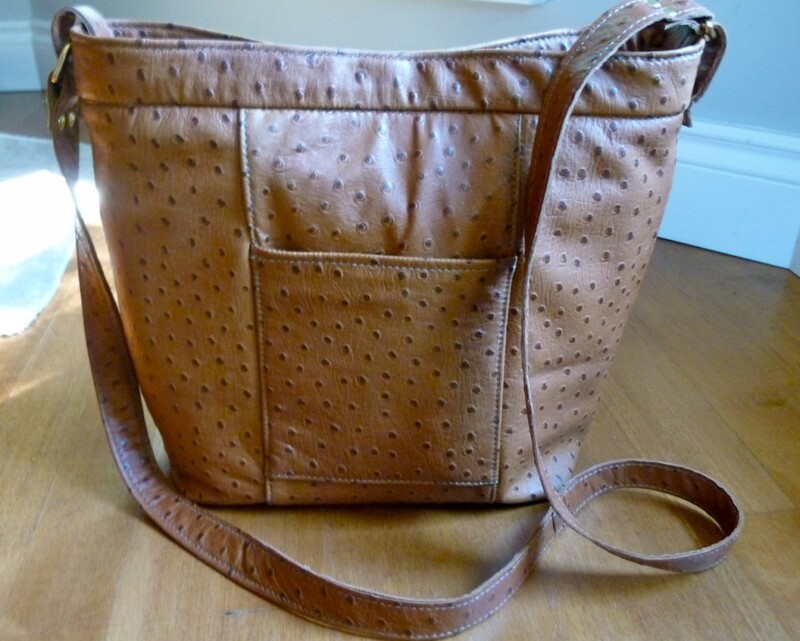 It is beautiful flocked caramel leather. 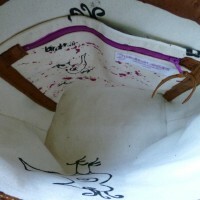 It is lined with screen printed stiff canvas, giving it body and durability. This bag measures 11x14x4″. 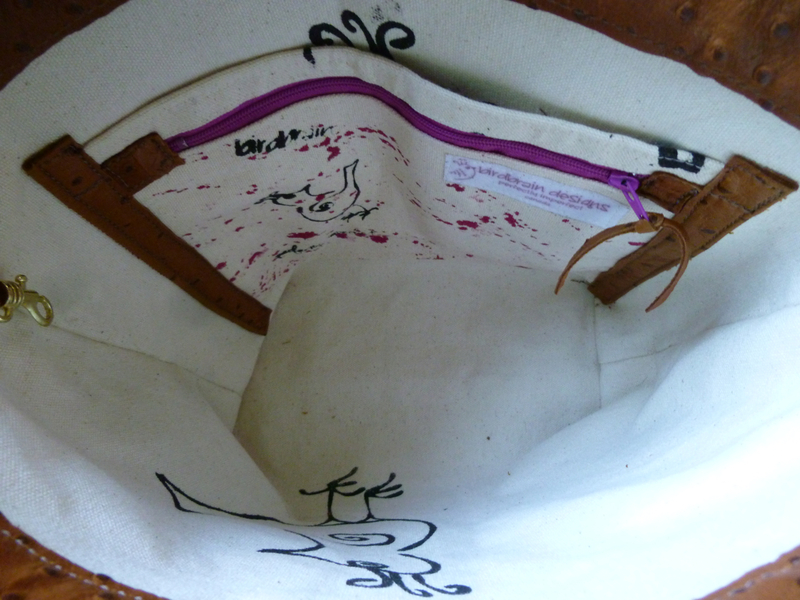 It has a long strap, exterior pocket, magnetic closure and great screen printed lining with zipper and open pocket. Hope you had a great wedding last week! 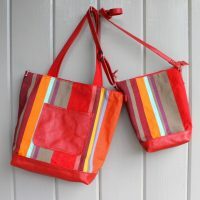 I just love the new red bag – I would really like to purchase one of your bags and I think red might just be the colour. 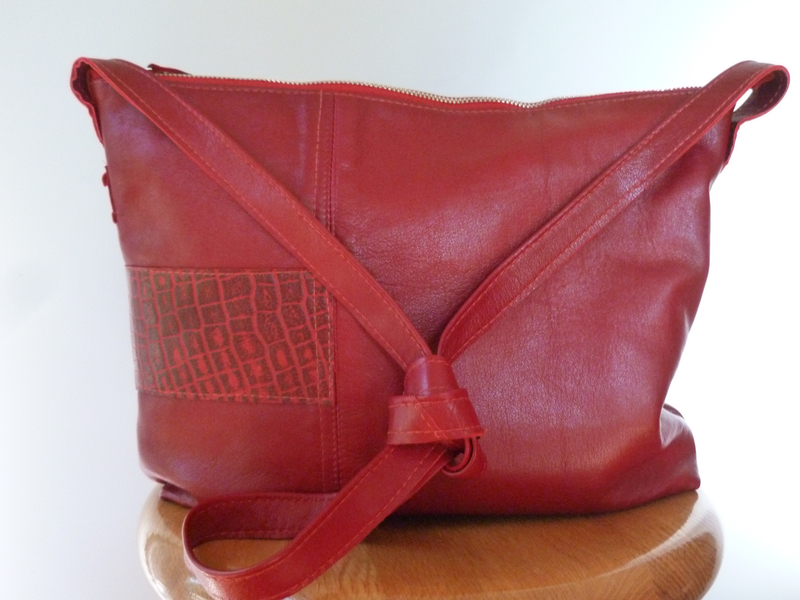 Along with wearing red shoes, I have often owned red bags in the past that were favourtes, Might be time to revisit this again. It sounds like we might get a coffee visit next week??? 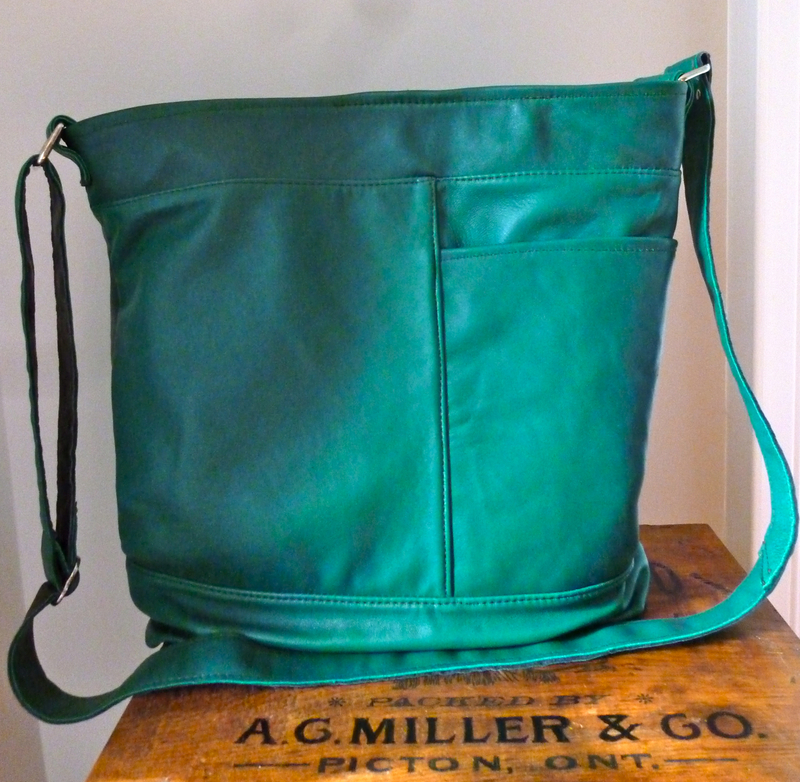 I really love the new green bag! Your “re-creations” are the perfect “recreation” for retirement. You have found something that is not only gratifying for you, but also produces lasting gifts for those who buy them. I think it’s “sew” wonderful what you have undertaken! 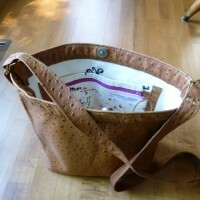 Christine, the caramel flocked leather is so beautiful! What a great all day, every day bag it would make.